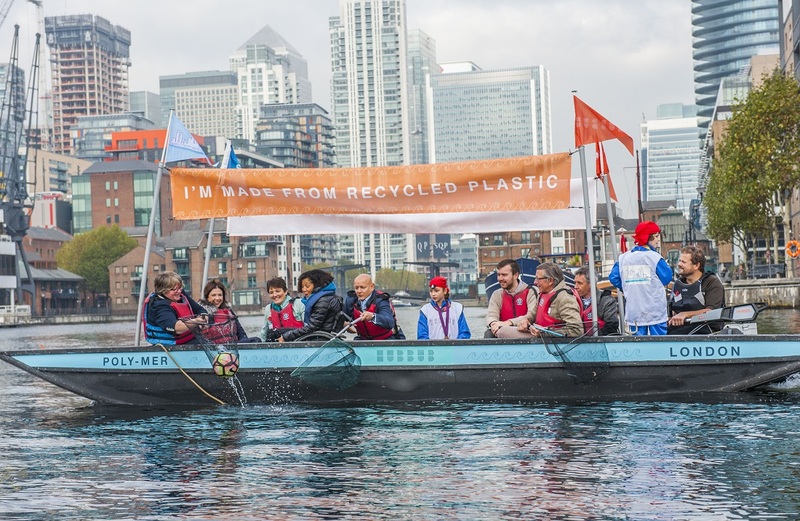 ‘Poly-Mer’ – the world’s first boat made from 99% recycled plastic waste – launches today from the Docklands Sailing and Watersports Centre in London to raise awareness of the growing levels of plastic pollution in Britain’s waterways. 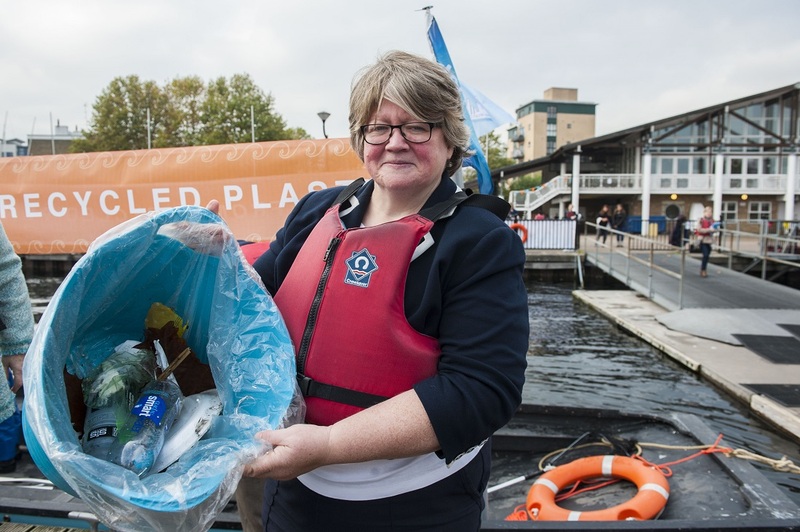 Hubbub – a charity which creates environmental campaigns with a difference – built ‘Poly-mer’, which will be used for ‘plastic fishing’ trips to clear plastic litter from the Docks around London’s Canary Wharf. Recyclable material collected will be used to build more boats, creating a litter-busting fleet that can be deployed across the UK. Environment Minister Thérèse Coffey MP will board the boat for its maiden voyage, along with school children from nearby Canary Wharf College (CWC). 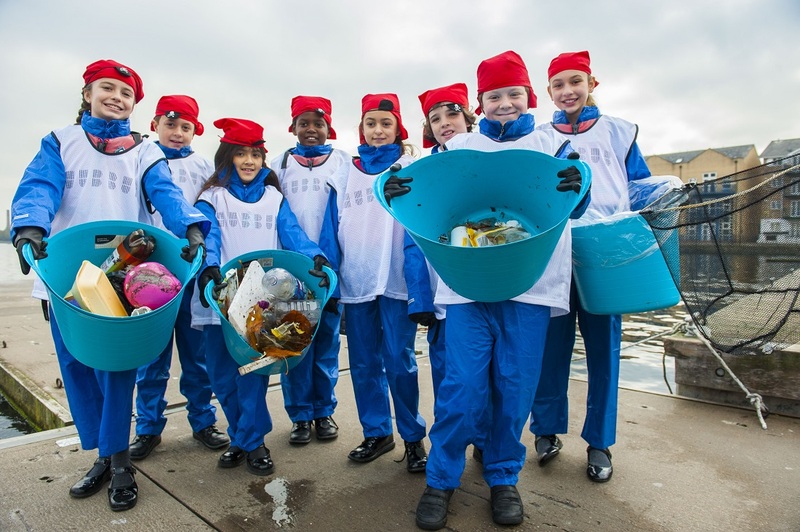 The children were first involved in fishing plastic litter from the docks earlier this year after seeing the issue for themselves first hand. CWC parent Christine Armstrong wanted to bring the circular economy to life in a practical way and got a group of parents and their children out one weekend to try it on the Docks. The children loved collecting rubbish to make something as useful as a boat while also cleaning up the waterways and being cheered on by locals passing by. ‘Poly-Mer’ is a 12-seater punt – a type of boat designed over a thousand years ago – but uses the most modern of materials – recycled single-use plastic, or ‘Plaswood’. ‘Plaswood’ is manufactured from 100% recycled plastics and is a hybrid composite material, which combines plastic and wood, making it very cost-effective. This is the first time it has been used for this purpose and the build was supported by Sky Ocean Rescue. The boat was built by Mark Edwards MBE, a Richmond-based boat builder who previously built the Queen’s barge, ‘Gloriana’. 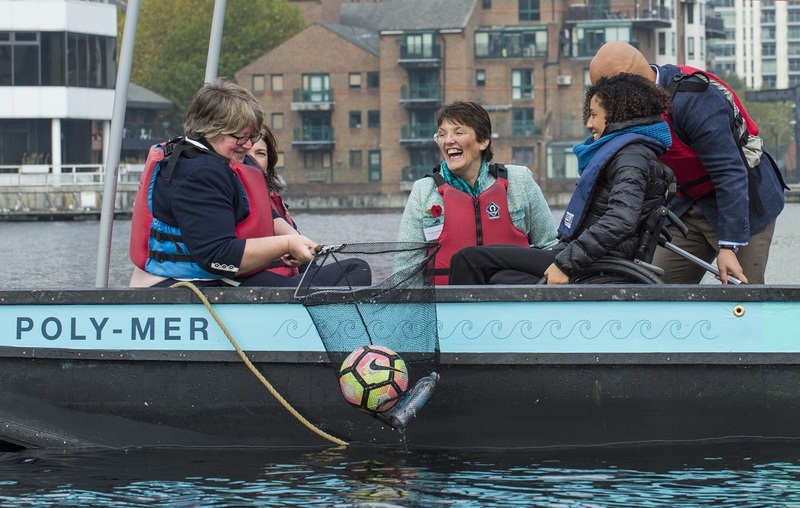 Following the launch, the boat will continue to be used by the children of the Canary Wharf College and will be accessible to members of the public and businesses interested in taking part in ‘plastic fishing’ trips. This is an excellent and creative solution that demonstrates the damaging effect littering and plastics can have on our environment and wildlife. We are already taking significant steps to tackle this important issue – by planning to introduce one of the world’s toughest bans on plastic microbeads and taking nine billion plastic bags out of circulation with our 5p carrier bag charge. The problem of plastic pollution of the oceans and the terrible impact this can have on wildlife is now widely understood thanks to campaigns such as Sky Ocean Rescue. What people perhaps don’t realise is that 80% of ocean plastic comes from land and travels from our hand to storm drain, river or seas. When our pupils learn to sail on Millwall Dock they are shocked by the huge amount of plastic they see floating in the water. In Spring they see birds laying their eggs in nests made of plastic. As a traditional boat builder I have had some interesting phone calls over the years enquiring about Royal barges, wooden submarines and mediaeval invasion boats but the recent enquiry from Hubbub for a recycled plastic workpunt was, I soon realised, technically one of the most demanding projects I have been asked to undertake.